Today Apple Inc. (NASDAQ:AAPL) held its first major event of the year, an Apple education event called “Let’s Take a Field Trip,” held in Chicago. As expected, the company introduced a new iPad, priced to help it regain market share lost in the classroom to cheap Chromebooks from Alphabet Inc’s (NASDAQ:GOOG, NASDAQ:GOOGL) Google. Apple didn’t waste any time at the education event in getting to the key announcement: a new iPad. At $299, Apple calls it a “love letter to education.” However, consumers will pay $329. So it’s not the cheap iPad that had been hoped for (it’s only $30 less than the version Apple introduced last year — assuming you qualify for the education discount). However, this new 9.7-inch iPad works with the optional Apple Pencil stylus, including the tilt and pressure functions that work with the iPad Pro line. 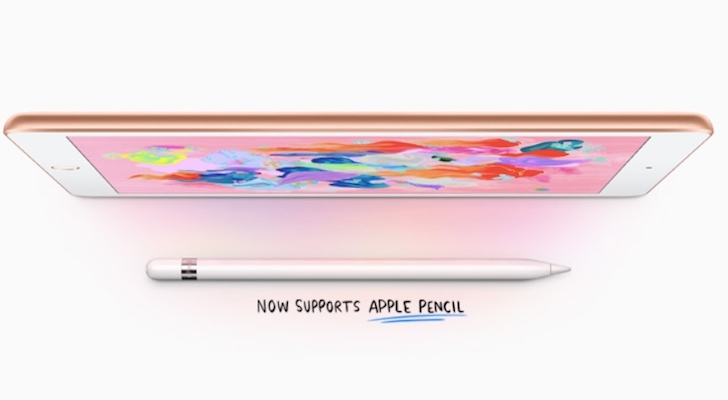 Supporting the Apple Pencil will be updates in Apple’s free iPad apps like Pages, supporting new features like “Smart Annotation.” Pages will also gain digital book creation capability. Also pushed as a key advantage for the iPad in the classroom is Apple’s ARKit and the augmented reality experiences it offers to students using the new tablet. The company will make it easier for students to share an iPad with new Apple School Manager admin tools, while teachers get new capabilities to leverage those iPads through Apple Teacher, SchoolWork and the ClassKit API. The new Apple iPad is available for pre-order today, and it will start shipping and arriving in stores later this week. Apple is feeling the heat in the classroom. Over the past several years, Google has been very successful in convincing school boards to adopt its low cost Chromebook notebooks. When students move to Chromebooks en masse, that’s a double threat to Apple. First, they cut down on sales of Apple’s iPads to students. And perhaps more ominously, a student who grows up using a Chromebook and Chrome OS gets comfortable with that platform. When they are buying a tablet or laptop of their own, there’s a greater chance they could skip the Apple offerings. And if they go down the Chrome path — collecting Google Play apps along the way — there is also a greater chance that they’ll choose an Android smartphone instead of an iPhone. So Apple felt it had to make a move to bolster its education presence. Not just to be a stronger presence in the classroom, but also to help protect future Mac, iPad and iPhone sales — and the Services revenue that comes with them. This first tablet to run Chrome OS will be a challenger for the new iPad, with a 9.7-inch 2048 x 1536 display, 32GB of storage and an included stylus at $329. That’s more than the new iPad costs, but it includes the stylus that Apple charges extra for. And it will fit in well with the existing Chromebook collection so many school boards have already adopted. While the education market has a minor direct impact on AAPL stock compared to the iPhone, it’s a market that Apple doesn’t want to cede to Google — or to Microsoft Corporation (NASDAQ:MSFT) for that matter. At the “Lets Take A Field Trip Event,” with an affordable new iPad aimed at students and a flood of educational tools for teachers, the company showed that it’s determined to remain a presence in the education market, and hoping to turn students into future Mac, iPad and iPhone buyers. Article printed from InvestorPlace Media, https://investorplace.com/2018/03/apple-inc-aapl-unveils-new-low-cost-ipad/.